Rita Jo Wickliffe was born in Claremore on March 28, 1955, to Nellie Wofford -Wickliffe and Gordon Wickliffe. She went to her heavenly home on the 5th day of April 2019 at the age of 64. She is survived by her son Casey Malone of Pryor, sister Barbara Acuff of Pryor and sister Virginia Buttram of Mount Vernon, Missouri. She is preceded in death by her mother Nellie Wickliffe, her father Gordon Wickliffe, her brother Dennis Wickliffe and her brother James Wickliffe. Rita grew up in Pryor OK. She graduated from Pryor High School in 1973. She attended Rogers State University and earned a degree in Psychology. Rita raised one son, Casey Malone. You could find Rita happily working at the Salina Health Clinic in the WIC department. She liked to make jewelry, crafting with leather, loved family gatherings, was a great cook, had a great sense of humor and was a faithful prayer warrior. To send flowers or a remembrance gift to the family of Rita Jo Wickliffe, please visit our Tribute Store. 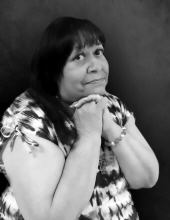 In lieu of traditional remembrances, the family ask that donations be made to the Celebrate Recovery Program of Life Fellowship Church in memory of Rita. "Email Address" would like to share the life celebration of Rita Jo Wickliffe. Click on the "link" to go to share a favorite memory or leave a condolence message for the family.